Psychology4Learning has nine Educational Psychologists and a Business Director. If you are an Educational Psychologist and are interested in working with Psychology4Learning please contact us. Rob is a Consultant Educational Psychologist and HCPC Registered Practitioner Psychologist. He has 14 years experience of working as an Educational Psychologist and Senior Educational Psychologist at Buckinghamshire and Milton Keynes Local Authorities. Before training as a psychologist, Rob was a deputy headteacher at school for children with emotional, behaviour and social difficulties. Rob is a Founder of Psychology4Learning, and is able to provide professional support to P4L Educational Psychologists. Paula has 27 years’ experience and has worked in a number of Local Authorities, building up a wealth of knowledge and experience. 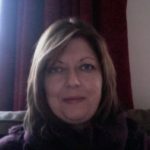 She has held specialist posts within the Looked After Service (Coventry); Rowan’s Children’s Centre (Milton Keynes); been a Nurture Group Trainer; Targeted Mental Health in Schools (TAMHS) Facilitator and joint lead trainer in Bucks, rolling out the Children and Families Act (2014) reforms. She is keen to make psychology accessible to a wide audience, confident that lives can be improved through the application of evidenced based practices. Her particular interests are in Early Years and Mental Health issues. Paula is also trained in: Solution based therapy, Detraumatisation and fast phobia treatment (Human Givens), The Incredible Years (Webster-Stratton) Parenting programme, The Nurture Programme – Family Links Parenting programme. In Milton Keyens she was known as the sleep lady after successfully helping many parents to achieve a better night’s sleep. Paula is a Founder of Psychology4Learning, and is able to provide professional support to P4L Educational Psychologists. Claire manages the sales, marketing, finance and customer service elements of Psychology4Learning. She deals with customer queries and coordinates work with the Educational Pyschologists. Claire has 10 years experience of working in the public sector, with roles in both the NHS and Local Authorities, managing the business side of clinical services. Before working in the Public sector, Claire worked in international technology companies, developing and managing strategic marketing programmes. Sharon has worked as an Educational Psychologist in Local Authorities for many years. She has an excellent reputation with our schools, meaning her services are always in demand. 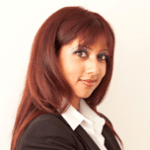 Sangeeta has more than fourteen years experience working for several local educational authorities, the last eight years working on yearly or shorter term contracts employed by schools and local authorities as an independent consultant educational psychologist. Sangeeta is an Associate Educational Psychologist with P4L. She completed a doctorate in Educational Psychology (April 2010) and her thesis area focused on strengthening parental contributions to school readiness and early childhood learning. Sangeeta originally trained as a primary school teacher and has specialised experience with the Early Years Foundation Stage (EYFS), Key Stage 1 (KS1) and Key Stage 2 (KS2). 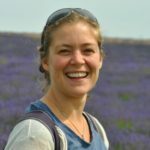 Carolyn initially worked as a secondary school teacher in Hertfordshire, before completing a MsC in Educational psychology in 2005, followed by a Doctorate in 2012. Following the MsC in Educational Psychology, Carolyn worked as a Local Authority Educational Psychologist for 11 years. Suzanne is an experienced Educational Psychologist, flexibly applying psychological knowledge and skills in order to better understand individual needs and collaboratively plan positive ways forward. Her special interests as a psychologist are related to the promotion of emotional wellbeing and resilience. Suzanne is also trained in delivering the Incredible Years Parenting Programme, Friends Resilience Programme, We Eat Elephants, and Living Life to the Full for Young People. Suzanne initially worked as a primary school teacher, and Special Educational Needs Coordinator, before qualifying as an Educational Psychologist in 2010. Rachel has worked for several different Local Authority Educational Psychology Services over the past 9 years including Warwickshire and Buckinghamshire. Areas of particular interest include nurturing relationships between adults and children, supporting children to develop their cognitive skills and supporting language development. Rachel gained her doctorate of Educational Psychology at the University of Southampton and has a Masters degree from the University of Cambridge. Dr Julia Crane is a Chartered Educational Psychologist, registered with the both the HCPC and BPS. With over 20 years experience including a background in university teaching and assessment on both Masters and Doctorate level training programmes. 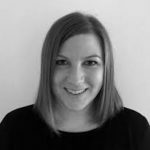 Julia is also an accredited Video Interaction Guidance practitioner and trainee supervisor. Julia conducts privately commissioned Educational Psychology assessments, training and tailored individual/group interventions for schools and parents/carers. This includes out assessment work with children and adults to identify specific learning difficulties and more complex SEN, poviding expert witness advice for SEND tribunals, giving evidence for examination concessions, and providing supporting evidence for university students who are applying for Disabled Students’ Allowance. Through completing her doctorate in Educational and Child Psychology at University of East London, Amy has experienced working in a number of Local Authority Educational Psychology Services in and around London. Amy has demonstrated a professional interest in meeting the social, emotional and mental health needs of children and young people through supporting projects such as Nurture Groups and the Emotional Literacy Support Assistant (ELSA) programme. Prior to becoming an Educational Psychologist, Amy worked as a teaching assistant and has received training as an Applied Behaviour Analysis Tutor. She has significant experience working with children and young people on the autism spectrum. In particular, her interests include the presentation of social communication difficulties within the female population.